Erin Corcoran is from Plainfield, Illinois and is currently in her first year with Still Inspired. Previously, she was a Performing Apprentice with Inaside Chicago Dance and has professional experience performing in multiple shows throughout Chicago. 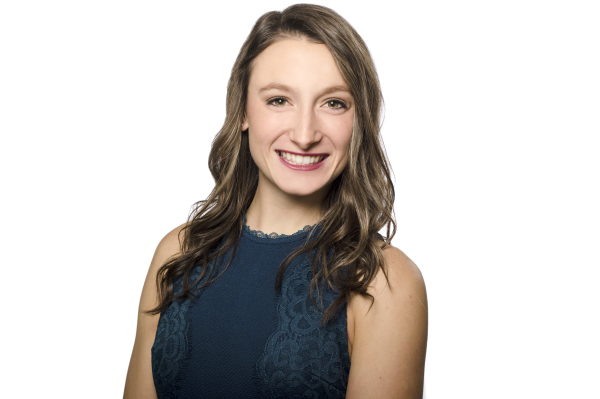 Erin grew up dancing at Innovation Dance Company where she trained in a variety of styles and danced competitively for 9 years. In all four years of high school, Erin was on the Joliet Catholic Academy Varsity Dance Team and was nominated captain for both her junior and senior year. Erin then graduated from the University of Iowa pursuing her BFA in Dance and BA in Health and Human Physiology- Exercise Science. At the University of Iowa, Erin performed in over 50 pieces and was present in 18 shows. Erin’s other professional experience includes performing with The Cedar Rapids Opera House, Kayle and Co, City of Ballet Iowa, and The Kate Jablonski Statement. Erin also had the chance to work alongside many established directors such as Wade Schaaf, director of the Chicago Repertory Ballet, and Terence Marling with Hubbard Street 2. Erin is currently in her second year as a jazz and contemporary instructor as well as choreographer at Raise the Barre. Erin has been judging dance competitions for two years now, and has taught master classes at National Dance Competitions. Erin Is very excited to be a part of Still Inspired and can’t wait to share her talent with the other company members on stage!